Drug Distribution Laws & Legal Help. FREE Case Evaluation! Drug Distribution Laws & Legal Help. FREE Case Evaluation! Drug Distribution in Philadelphia is akin to drug trafficking. Most of the time, the official charge is listed as “drug possession with the intent to deliver.” This not only means that law enforcement believes the accused had an illegal or controlled substance in his possession, but also that he planned to sell, barter, trade, or give it away. In an effort to curb drug use across Pennsylvania, the law comes down hard on those who are found guilty of spreading them. 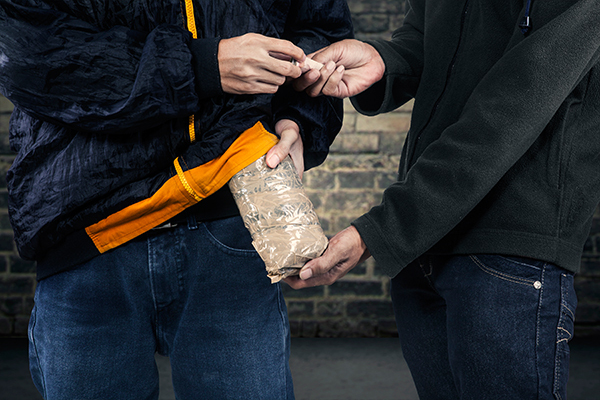 Without the help of an experienced drug distribution attorney, harsh penalties are almost a certainty. Although most people think of illegal street drugs, such as methamphetamines, cocaine, or marijuana, when considering a drug distribution or trafficking charge, it also extends into things that may otherwise be lawful with a prescription. Pennsylvania maintains a list of every substance that applies to this law, and it contains everything from pain medications, to cough syrups, and even anti-seizure prescriptions. Generally, it is believed that an individual accused of distribution sold drugs. However, the allegation may be made if law enforcement believes that an illegal substance either passed hands or was intended to be passed to another person, by nearly any means. For this reason, even the driver of a vehicle may receive a charge if he is transporting someone who is delivering, though law enforcement must prove that the driver was aware of the illegal substance and knowingly transported it. The penalties associated with a conviction will vary based on a lot of things. The courts will look at the substance, itself, and take into consideration how dangerous it is. They will also look at the amount of the substance that was found, and examine the history of the accused. Naturally, those involved in cases with more dangerous substances, with larger quantities, and those with previous convictions, will have greater penalties. It’s common for a first-time offender with a small amount of a substance to receive a $5,000 fine and one year imprisonment. More serious charges can result in 15 years and $250,000 in fines. A competent drug distribution lawyer will look into all aspects of the case, including the investigation, arrest, and interrogation. If anything occurred during this chain of events that was improper, he may be able to have the evidence thrown out and the charges dropped. In situations where the accused was not involved, he may attack the state’s evidence. Across the pages of this website, you will find profiles of high-caliber drug distribution attorneys who research each case independently and seek out weaknesses in the state’s case, whatever they may be. This often results in charges being reduced or even dismissed altogether. However, time is of the essence, as the state has already begun building a case long before an arrest is made. It’s important to give your drug distribution lawyer the time he needs to create a solid strategy to deliver the outcome you need. Take a moment to review the profiles, and begin scheduling your consultations right away.